In more than a dozen media profiles of Rep. Beto O'Rourke (D., Texas) and his Texas Senate candidacy written over the past two years and reviewed by the Washington Free Beacon, no publications delved into the serious details about his 1998 arrest for driving while intoxicated. Those details now include he caused a crash and he attempted to flee the scene, according to a witness who spoke to police. O'Rourke, a third-term congressman challenging Sen. Ted Cruz (R., Texas) in one of the country's most closely watched races, has long acknowledged a pair of arrests from the 1990s: one in 1995 for breaking and entering over what he called a fence-jumping prank, and one in 1998 for driving while intoxicated. Both charges were eventually dismissed. The witness, who stopped at the scene, later told police that O’Rourke had tried to drive away from the scene. O’Rourke recorded a 0.136 and 0.134 on police breathalyzers, well above the legal limit of 0.08 in Texas. He was arrested at the scene and charged with DWI, but completed a court-approved diversion program and had the charges dismissed. In a statement Thursday, O’Rourke did not address the witness account of his alleged attempt to flee. "I drove drunk and was arrested for a DWI in 1998," O’Rourke said. "As I've publicly discussed over the last 20 years, I made a serious mistake for which there is no excuse." O'Rourke, the son of an El Paso judge, completed a court-ordered diversionary program to ensure the charge would be dropped. Democrats hope O'Rourke can become the first member of their party to win statewide office in Texas since 1994. Although there have been numerous stories about his candidacy, the profiles either made brief mention of his arrest or none at all. "Republicans have resurrected criticisms of O’Rourke first raised in earlier races, including his 1998 arrest for impaired driving — dismissed after he completed a diversionary program," the Washington Post reported Friday. The New York Times also came out with a profile of O'Rourke on Friday and mentioned the arrest for drunken driving but gave no further details. "And occasionally, he got into trouble — spending a night in county jail in his early 20s for attempted forcible entry (he says he jumped a fence at the University of Texas at El Paso) and facing arrest three years later for drunken driving. He was not convicted in either case," the Times reported. In a lengthy Texas Monthly profile published in January, writer Eric Benson briefly characterized the case as O'Rourke having been "stopped for a DWI in 1998." Town and Country mentioned a "1998 drunken driving charge" but didn't delve more into it, and Newsweek mentioned the regret he felt for the drunk driving arrest in a story in March. 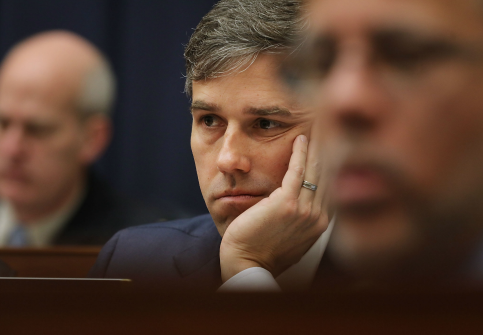 The Texas Tribune last year discussed O'Rourke's arrest record that was highlighted by former Rep. Silvestre Reyes (D., Texas), when O'Rourke challenged him for the Democratic nomination in his district in 2012. It also did not go into specifics and noted O'Rourke had attributed his arrests to "foolish mistakes as a young man." The Washington Post last year briefly mentioned his "1998 drunken driving arrest," the New York Times in another story wrote he was arrested for what "he called the ‘unforgivably bad decision' to drive after ‘having too much to drink,'" and Politico noted, "O’Rourke was arrested twice in his 20s, once for a DUI." PolitiFact fact-checked on Aug. 22 whether he had an arrest record–even though he has already acknowledged the arrests multiple times on the campaign trail—and said it was "True." However, it didn't give any details beyond the existence of the DWI charges in its fact-check, writing, "we attempted to get our own fix on the facts by seeking documentation of the DWI arrest through a public information request to the El Paso Police Department. Martin Rodriguez, a department records specialist, said by email the agency had no responsive records." In fact, O'Rourke linked to the PolitiFact article when he wrote an opinion piece for the Houston Chronicle about criminal justice reform, discussing his own arrests at the outset. A BuzzFeed profile headlined "Beto O’Rourke Could Be The Democrat Texas Has Been Waiting For" didn't mention his DWI charge. Nor did similar profiles by the Texas Observer, Vanity Fair, Yahoo, NPR, TIME, Rolling Stone, GQ, and Esquire. This entry was posted in Politics and tagged Beto O'Rourke, Media, Ted Cruz. Bookmark the permalink.